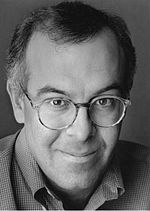 I’m not a big fan of David Brooks, to say the least. He frequently writes about cultural concerns that have been around for years. Fine. But, as Christopher Lane has observed, he comes across as if he’s sharing revelations that were unknown until he turned on the light of his own brilliance. While it’s irritating to see Brooks writing without crediting the many others who have been making this point for years, I’m of course glad to see that the mainstream press is finally catching on. But, hello, Freud made the same point to the press in 1934. The question that always comes up for me is whether psychotherapy can be pulled out of its own delusions and evolve or, better said, return to its former understanding of itself. I tend to think not, believing that an altogether new discipline should be developed. But I give Brooks credit for being more compromising than me. In fact, Hillman was more compromising himself, despite his blistering critiques.